Warren Buffett Wealth follows the world's greatest investor from the beginning of his career, as he takes a 100-dollar investment and turns it into one of the most successful multibillion-dollar companies in the world. By carefully detailing how Buffett began his career and discussing what he learned from Benjamin Graham, this book reveals the true secrets to Buffett's success. Readers will see how Buffett reached the pinnacle of his profession by following certain key principles such as investing in old-style traditional American companies, holding the companies forever, and hiring and keeping the same managers. Robert P. Miles (Tampa, FL) is a writer, speaker, and consultant. He is also the author of The Warren Buffett CEO (0-471-44259-3) and 101 Reasons to Own the World's Greatest Investment: Warren Buffett's Berkshire Hathaway (0-471-41123-X). Robert P. Miles (www.robertpmiles.com) is a writer, speaker, and consultant. He is a graduate of the University of Michigan Business School and has been a shareholder of Berkshire Hathaway for a number of years. He is the author of The Warren Buffett CEO, a book Buffett recommended to his shareholders, and 101 Reasons to Own the World’s Greatest Investment: Warren Buffett’s Berkshire Hathaway (both published by Wiley). 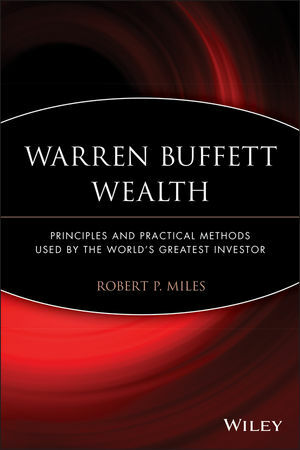 Miles has presented Buffett Wealth workshops on three continents. He has recorded How to Build Wealth Like Warren Buffett, and hosted several Buffett CEO talk television programs. He resides in Tampa, Florida.